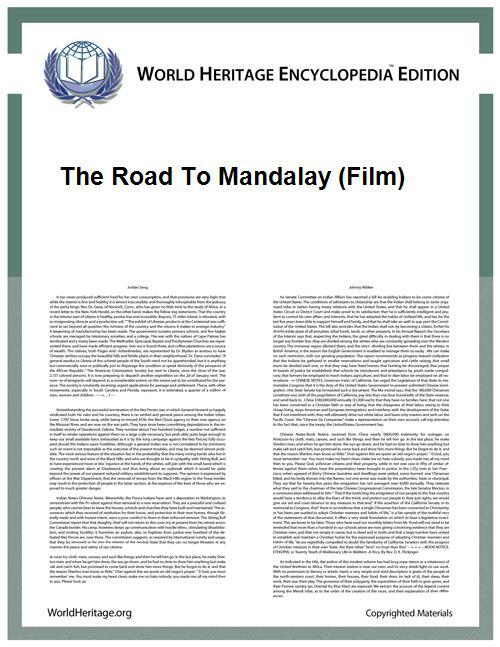 The Road to Mandalay is a 1926 American silent drama film directed by Tod Browning and starring Lon Chaney. Originally a 7 reel feature, the film was considered lost until the 1970s when an abridged version, of about 33 minutes, with French intertitles surfaced in Paris. This poor quality French abridgement is all that survives of The Road to Mandalay. This 1920s drama film-related article is a stub. You can help World Heritage Encyclopedia by expanding it.